For more than two thousand years the temple of Wat Po in Thailand teach the art of traditional Thai Massage. Wat Po close to Bangkok nowadays is the best known massage temple in Thailand. 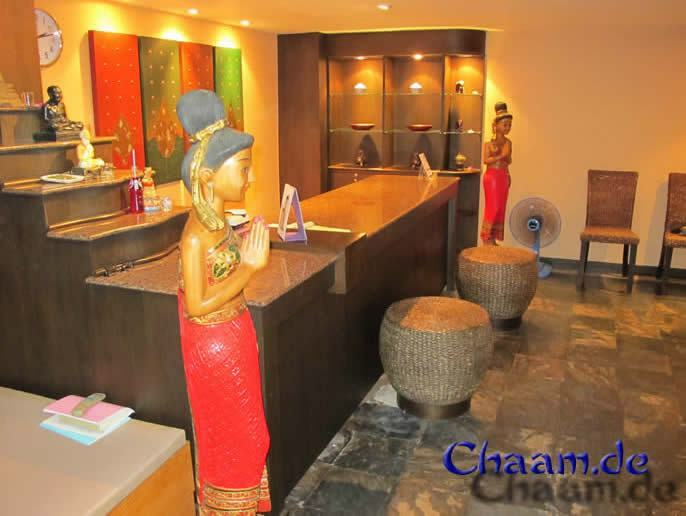 The school conveys the original Thai Massage and Wat Po is supposed to be the favorable place to learn Thai Massage. The ladies from the Methavalai Hotel offer this unique massage art for little money. Thai Massage is often offered at the beach. Many of those women never had a qualified training and in the worst case they can do damage to a client, what can be very dangerous for you. Therefore if you are supposed to get a Thai Massage from an unknown person, please first ask where this woman was trained. The massage resort at the Methavalai Hotel in Cha-Am is rather spacious, held in warm colors. It is a place of relaxation and well feeling. The traditional Thai Massage lasts – depending on the package – 1-3 hours. Aside from the Thai Massage you can also enjoy an oil-massage with precious oils and herbs. 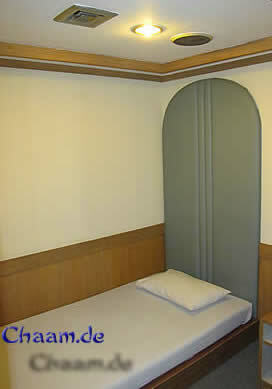 The hotel also offers Foot Reflexology Massage and Shoulder Massage. The price of the massage lies at around 300 Baht for one hour; the oil-massage is a little more expensive. You can find the Metavalai Hotel rather fast and easily. It is located at Soi 1, the main street at the Southern end of Cha-Am’s beach. 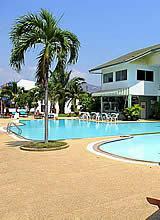 It is located right next to the hotel Golden Beach. To enjoy the massage you must not be a guest of the hotel! Just ask for a massage and for Ms. Su. Here is the phone-number of the Methavalai Hotel and Ms. Su.